This is an original P4P meme that will highlight one lucky book each Friday that I have been wanting to read. It can be any book, any author, and any genre. There are so many books I want to get my hands on and I add books to my TBR list every day. Here, I will just be discussing the books that I am most excited about reading whether I have wanted to read it since I was a kid or it just came out this year. I don’t remember where I came across this book, probably a fellow book blog or Goodreads, but I was intrigued. I am normally not one for super out there dystopian novels (if that is what this is), but I was reeled in by the cover alone. 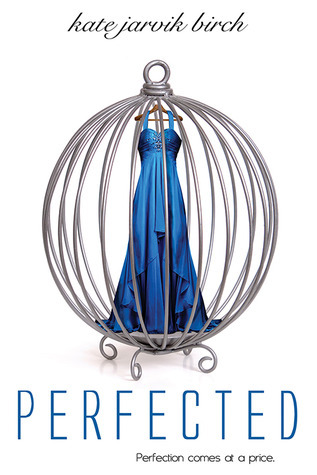 Perfected is about a world where some humans are bred to be household pets. This is a story about a girl who goes to live with a rich and powerful family to be their daughters “playmate”, but ends up falling for their son. But at some point, Ella (the pet girl), is kidnapped and pulled into a mysterious underground world far from her fabulous lifestyle. She has to make a choice and if she chooses wrong, death will be a fairytale compared to what’s in store for her. I am not sure how I feel about the premise of people being pets, but it does have a love story and a bit of an adventure, so I am wanting to give it a shot. Read about it on Goodreads. Is this book on your TBR list? Have you read it? If so, what did you think? This entry was posted in Future Read Friday and tagged adventure, dystopian, Kate Jarvik Birch, Perfected, pets, rich, romance, underground world. Bookmark the permalink.